And while a total of 99 clubs received byes when the draw for the first round of the competition was made, as ever there are still some tasty looking ties. Kirkintilloch Rob Roy, quarter-finalists last season, have landed a home tie against Fife outfit Glenrothes, meaning an early clash of two former winners. Bonnyrigg Rose, who knocked Rob Roy out last year before losing to eventual winners Glenafton in the semi-finals, are also in first round action with a home match against Shettleston. Kilwinning Rangers, who also reached the last eight season, have a home match with Ayrshire rivals Saltcoats Victoria. Cumbernauld United have a tough looking task away to former winners Tayport while other ties include Penicuik Athletic at home to Livingston United and a trip for Bo'ness United to play Lochee Harp. 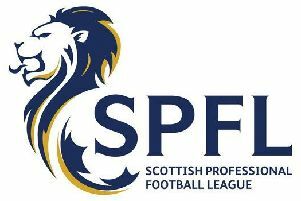 Fife pair St Andrews United and Kirkcaldy YM are away to Arniston Rangers and Aberdeen University respectively while Rossvale are at home to Greenock. Ties to be played on Saturday, September 23.